Sona Homes presents Mount Hope Estates in NORTH Stafford County, VA. Our newest community of 16 Estate Homes on 3+ Acres Home sites. Featuring quick, easy access to the Brooke VRE station and direct access to Stafford County’s beautiful parks. Build a customized base plan or bring us your custom plan for a quote today! 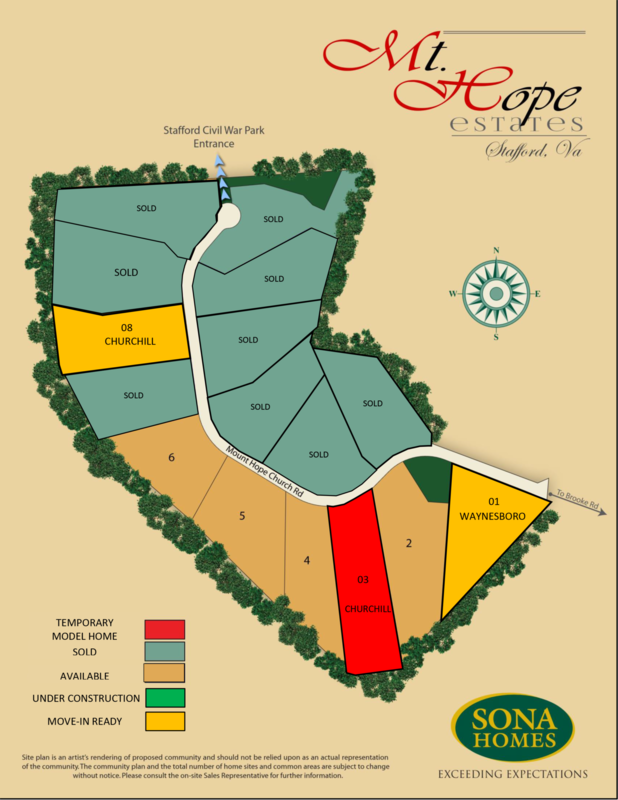 Request Information about Mount Hope Estates. Call or e-mail today for a tour of the community!